India has done it yet again! In the latest bid for building a 500MW in Rajasthan’s Bhadla solar park, Acme Solar Holdings Pvt. Ltd (for 200MW) and SBG Cleantech Ltd (for 300MW) placed winning bids of INR 2.44/ kWh and INR 2.44/kWh respectively. The other close bids were priced at INR 2.46 per kWh and INR 2.47 per kWh by Hero Solar Energy and ReNew Solar Power respectively. In all, there were 24 bids for the 500MW capacity build-up. This comes after Phelan Energy and Avaada Power quoted prices as low as INR 2.62/ kWh in a bid for Adani Power’s 250MW solar plant in also Bhadla solar park. The continuously falling solar prices have made it possible to generate electricity from solar energy at 18% lower prices than the average price for electricity generated by coal-fired plants. It is now cheaper to construct a solar plant than constructing a coal plant in India. India is set to become the third biggest solar market in the world in 2017 with an increase of 76% in capacity. Prices of solar components like inverters and modules have fallen by more than 25% in the last year itself. Indian solar prices have fallen by more than 12% in the last three months itself. 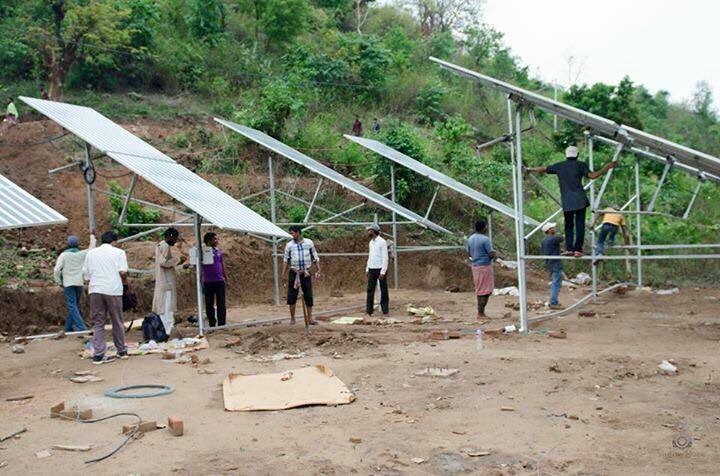 Not only India but many parts of the world are a part of the renewable energy revolution. Recently Origin and Goldwind set a new low for Australian wind prices at about $55/MWh for the 530MW Stockyard Hill wind project in Victoria. India energy minister Piyush Goyal predicts thermal coal imports will fall to zero within the next few years. Now India’s ambitious renewable energy target by 2022 does not seem too far. For a 100% rural electrification, using renewable sources of energy looks highly likely and falling prices in this regard should go a long way in boosting the adoption. India which was a coal-dependent nation just a few years ago has seamlessly been transforming into a renewable-focused country. This should be an inspiration to small and developing nations. Even though there is a concern about the competitiveness of solar plants bid at such lower prices, this has not stopped the developers from being aggressive. Currently, India generates more than 60% of its total electricity from coal and gas-fuelled plants, while only about 18% is from renewable energy sources. However, this percentage is set to change soon.